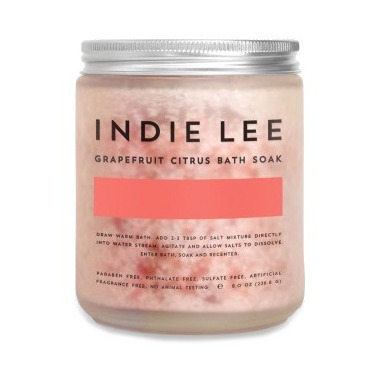 A blend of Pink Himalayan, Dead Sea, Atlantic and Pacific Sea Salts paired with refreshing citrus essential oils designed to detoxify skin, improve circulation, relieve aching muscles and deliver softer, more supple skin. Ideal for all skin types, this soak is both hydrating and calming. Recommended Use: Draw Warm Bath. Add 2-3 tbsp of salt mixture directly into water stream. Agitate and allow salts to dissolve. Enter bath, soak and recenter. Much better bath options out there. These dont dissolve and are NOT worth the money. At al!